Even though I haven’t had much time to post about it, I’ve been steadily working through my 2017 Popsugar Reading challenge. If you don’t know, Popsugar has an annual reading challenge that works like a scavenger hunt. There’s even a handy dandy downloadable list for the book categories. You can learn so much about writing from reading other people’s work. It doesn’t matter the genre, or even the quality of writing. Every book can teach you how to be a better writer – even if it’s just what not to do. That’s the perspective I take with me into all of my reviews. 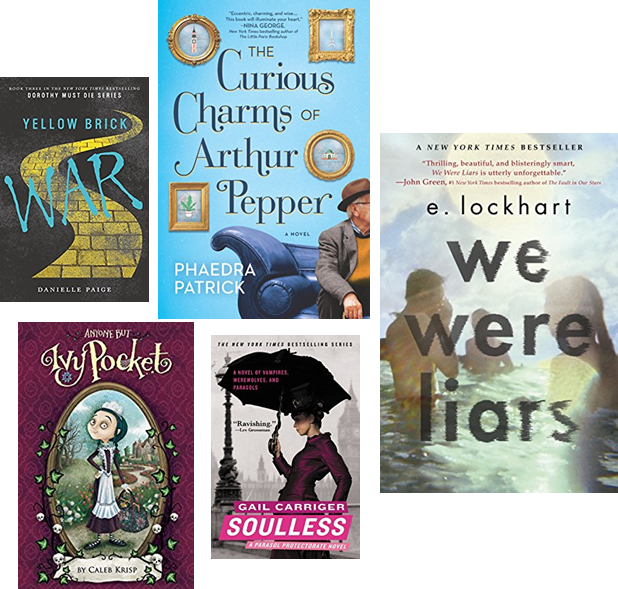 If you want to follow me along in real time, or suggest some books for the challenge, head over to my Goodreads page and my 2017 List. I figured I’d post my reviews in small batches, so here’s the first five. I’d never heard of this series before I came across it while browsing through the New York Public Library app. This book takes whimsy to the next level. (It’s like if Pinterest and tiny Hamster birthday parties had a baby.) 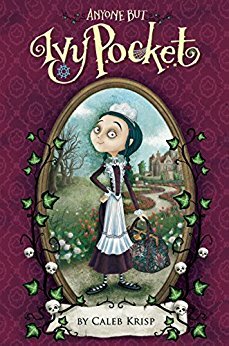 The narrator, Ivy Pocket, a 12 year old orphan, speaks like an adult yet is so painfully dim. Her lack of perception stretches credibility and it frequently pulls you from the story as you wonder how anyone could possibly be that unaware. It’s a shame since Ivy’s mis-adventures are quite entertaining, and the overall story is compelling. It’s very similar to “A Series of Unfortunate Events” by Lemony Snicket, but far more heavy handed. It could have been a wonderful book if only Ivy would get out of her own way. It’s great to have a unique first person voice, but it can’t be bigger than the story you are trying to tell. For a series you might not know, try Elemental Mysteries by Elizabeth Hunter. 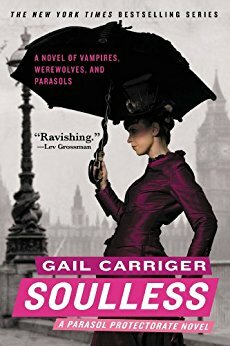 It’s a grown-up, well-written, and unique take on vampires. This is book three in the “Dorothy Must Die” series. I love the series and the voice Danielle gives our teen protagonist, Amy. 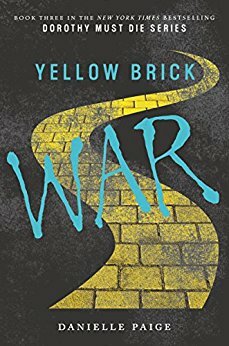 This is a different spin on the Oz canon that’s full of adventure and a touch of dark humor. Unfortunately for me, this book was not up to the standards of the two previous two. The bulk of story took place in Kansas, which already makes it less fun, but the narrative doesn’t seem to progress our overall story arc much. This felt like it should have been a chunk of the third and final book rather than a stand-alone novel. My take is that the publisher wanted to capitalize on the success of the series and stretch it out for another book and rushed this one out. It doesn’t work and detracts from what was a really amazing YA series. I’m hoping the next book in the series wins me over again. When you write a series, don’t try to change up your game plan in the middle. Some stories are meant to be trilogies and some are meant to be a longer series. For an amazing book by a person of color check out “Tyrell” by Coe Booth. This is the type of book where going in, you know there’s a twist. The author does a good job of keeping you guessing, although I had pieced much of it together before the big reveal. 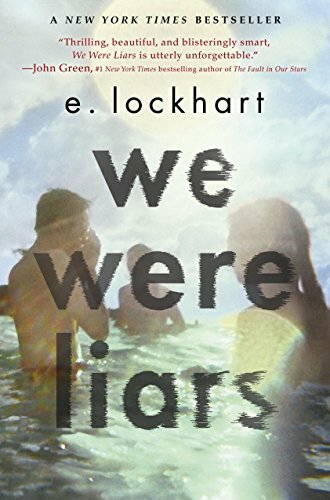 The book’s lovely prose follows teen Cadence Sinclair, as she stays at her family’s home on a private island in Cape Cod. The story unravels the mystery of her missing memories and debilitating headaches. Despite my burnout for “sad rich kid” YA books, I still enjoyed the skill and dexterity of the writing. Big twists need careful execution. You need to plant just enough clues that the reader could have seen it coming, but not so many that they actually figure it out ahead of time. For another book featuring an unreliable narrator, check out The Unbecoming of Mara Dyer (The Mara Dyer Trilogy) by Michelle Hodkin. I read the description on this novel and was drawn in. 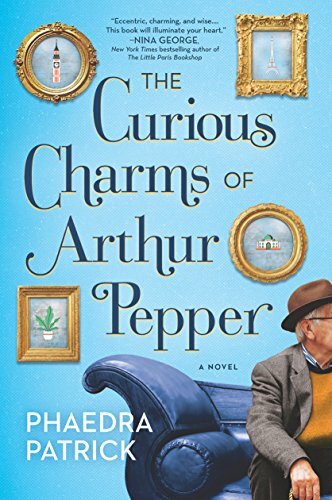 A widower, Arthur Pepper, finds a whimsical charm bracelet that belonged to his practical wife. In all their years of marriage, he’d never seen her wear it and didn’t know its origin. He decided to trace each charm and in doing so had some wonderful adventures, learning more about his wife and himself in the process. This book was sweet without being cloying and I enjoyed it thoroughly. It’s okay to indulge a bit in a sweet story with a satisfying ending. Just don’t go overboard. “Charlotte’s Web” by E.B. White is a perfect book. This book suffered a bit from the same syndrome as Ivy Pocket, where the narration gets in the way of the story. The book presents us with the intriguing premise that Alexia Tarabotti has no soul. Because of this she has special abilities in relation to the vampires and werewolves that inhabit London. The narrator can get a bit irksome with her constantly reminding us how different she is than everyone else – she’s Italian! Has a darker complexion! Likes to read! Is interested in Science! We got it the first dozen times. On the positive side, I found the overall premise compelling and the book was easy to read. Unfortunately, the villain was too predictable and the romance could have used a bit more spice. Having a storyline with a focus on romance doesn’t mean you can ignore the other plot points. I haven’t read many steampunk books, but I really enjoyed “Gears of Wonderland” by Jason G Anderson. Thanks to the library and my long commute, I’m making excellent progress on my list and I’m determined to hit every category this year. How are you doing with your reading goals? Previous article	← Popsugar: February 2017 Must Have Box + April Spoiler!